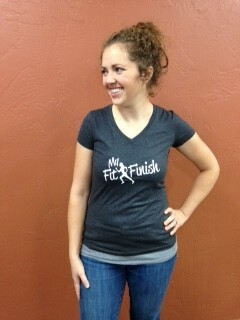 Pre-Order your own My Fit Finish Ladies Dark Grey T-shirt and get it in before Christmas! This is the perfect gift for fit females who are striving to run the race of life strong! Lyndsay is rocking our Medium shirt here! 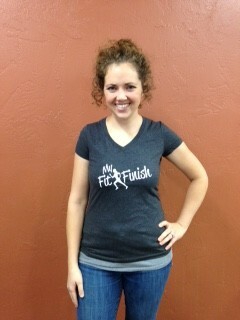 Order your My Fit Finish Ladies T-shirt today! Shirt will be delivered by Christmas (must be ordered by 12/7). This V-neck T-shirt is a dark heathered grey with white font. 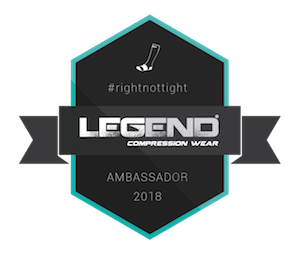 Brand is Next Level so this t-shirt is super soft and comfy. Wash in cold and dry inside out for best results and longevity. This t-shirt is a tighter fit. Available in S, M, L, and XL ($1 extra)! 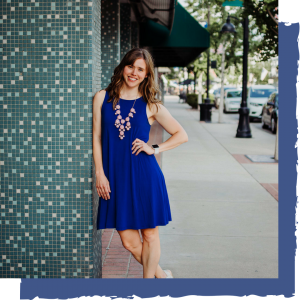 This is the perfect gift for fit females who are striving to run the race of life strong!